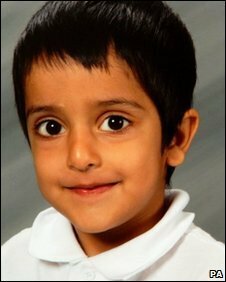 Four police officers in Pakistan have been suspended over the handling of the kidnap of a five-year-old British boy. Sahil Saeed, from Oldham, was snatched by armed robbers on Wednesday while visiting relatives with his father. 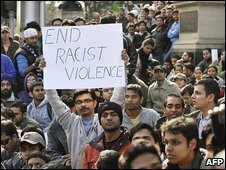 But the police did not initially respond to the family’s emergency call to “Rescue 15”, the Pakistani equivalent of 999. Pakistan Interior Minister Rehman Malik met Sahil’s father and said he planned to “make an example of” the captors. Sahil was taken from his grandmother’s home in the Punjab city of Jhelum as he prepared to take a taxi to the airport for his return flight to the UK. The attackers are said to have demanded a £100,000 ransom for his return. 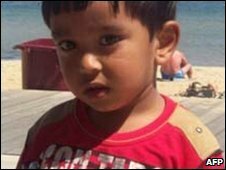 On Saturday, Sahil’s mother Akila Naqqas pleaded for his safe return, saying she would forgive his son’s captors if they released him. She also said Sahil had never been apart from either herself or her husband. “It’s just a nightmare. I’m not sleeping at all,” she said. “It’s worse at night when I have no-one to comfort me. It is understood several men, including a taxi driver, have been arrested in Pakistan. The interior minister visited Sahil ‘s father Raja Saeed in Jhelum on Sunday. Mr Malik told him the police believed the kidnappers were people close to the family, and that they were closing in on the culprits. He also said the kidnap was “humiliating” for Pakistan and the captors would be made an “example off”. 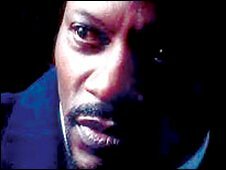 A teenage boy has been stabbed in the leg at a festival in London leading to the cancellation of a set by US soul singer Alexander O’Neal. 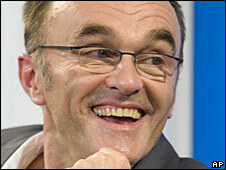 The day-long event at Southwark Park in Bermondsey was stopped on police advice shortly after 2000 BST just as O’Neal was due on stage. The boy, who also suffered facial injuries when he was hit with a bottle, was taken to hospital for treatment. Several thousand people attended the event as part of Bermondsey Carnival. Dozens of police were quickly on the scene and a number of young people were interviewed. O’Neal had flown in from the US to attend the free event. The our correspondent said there was booing from some sections of the crowd when the decision was announced. The boy’s condition is not thought to be life-threatening. US forces in Afghanistan are to review an inquiry into an air raid last month after new video evidence emerged indicating scores of civilian deaths. The US had earlier said that no more than seven civilians died in the attack on the western province of Herat. However, the Afghan government and the UN said up to 90 people were killed, including many women and children. The US-based Human Rights Watch (HRW) says such attacks are eroding support for the government and foreign forces. HRW says civilians deaths from international air strikes nearly tripled between 2006 and 2007. The US general in charge of NATO-led troops (Isaf) in Afghanistan said at the weekend that he was requesting the US military’s Central Command to review the investigation into last month’s air raid. Gen McKiernan said Isaf realized there was “a large discrepancy between the number of civilian casualties reported by US and Afghan National Army soldiers, and local people”. The US military subsequently said it would “appoint a senior US military officer to review the investigation into the combined Afghan National Army (ANA) and US forces operation”. Disturbing video footage – apparently of the aftermath of the raid – has been seen by top military figures and diplomats in Kabul. The shaky footage – possibly shot with a mobile phone – shows some 40 dead bodies lined up under sheets and blankets inside a mosque. The majority of the dead are children – babies and toddlers, some burned so badly they are barely recognizable. The covers are removed for the camera one by one: a little girl of perhaps four with brown curly hair; a boy with his eyes still eerily open; another girl with huge injuries on the side of her head. Another boy has his hand up as if to protect his face which was crushed under the rubble. Clearly heard on the tape is the crying of relatives and the survivors of the bombing raid. US forces had originally said seven civilians were killed in a “successful” US raid targeting a Taleban commander in Azizabad village in Herat’s Shindand district. However, the UN, the Afghan government and an Afghan human rights group said the number of civilian deaths was far higher. Their estimates of the number of civilians killed varied between 76 and 90, with the UN eventually concluding that children accounted for 60 of the dead. The dispute over the figures had escalated into a fierce behind-the-scenes battle behind the UN and the Pentagon. Meanwhile, Human Rights Watch said in a report released on Monday that decreased reliance on ground forces and greater use of air power was leading to “mistakes” that had “dramatically decreased” support for the Afghan government and international troops. “Civilian deaths from air strikes act as a recruiting tool for the Taleban and risk fatally undermining the international effort to provide basic security to the people of Afghanistan,” Brad Adams, Asia director of HRW, said in a statement. 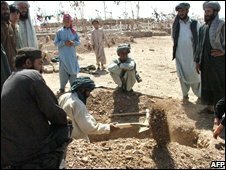 The group found that in 2007 at least 321 Afghan civilians had been killed in international air strikes – a rise from at least 116 in 2006. This figure was much lower than the number of civilians killed in militant attacks, the group said. Nearly 950 people were killed by insurgents in 2008, compared with 700 in 2006. HRW said most of the air strike casualties occurred in unplanned raids, when air power was called to give support to troops on the ground. “The US and Nato need to dramatically improve their co-ordination with each other and with the government of Afghanistan,” HRW’s Rachel Reid told the BBC. 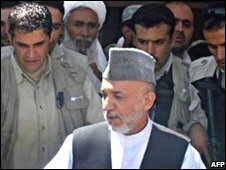 Afghan President Hamid Karzai has repeatedly warned the US and Nato that civilian deaths undermine his government and damage the reputation of foreign forces in the country.